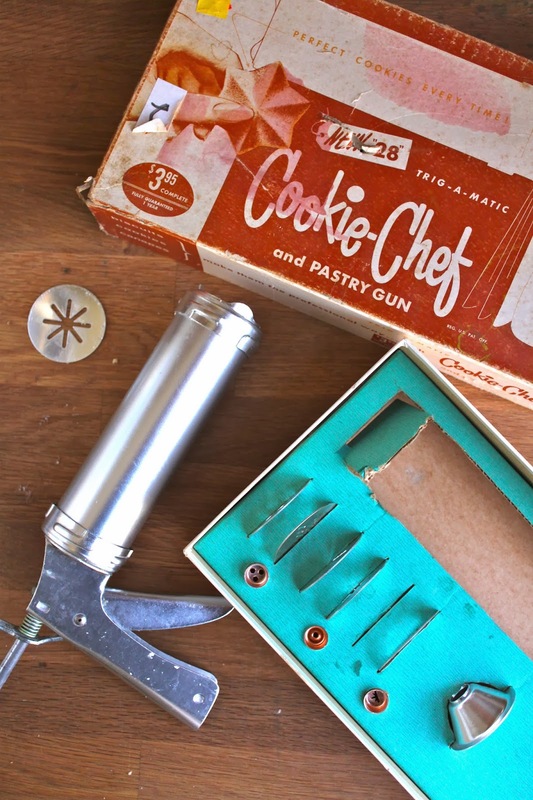 several years ago, i scored this vintage cookie press on ebay. it has lots of disks to make many shapes. the box is in nice shape too and even has the original price on it, $3.95. try and find a new set this nice for that price. i love the trigger action, it works perfectly. the only advice i can give you, press them directly onto the sheet pans; do not use paper or grease the pans! 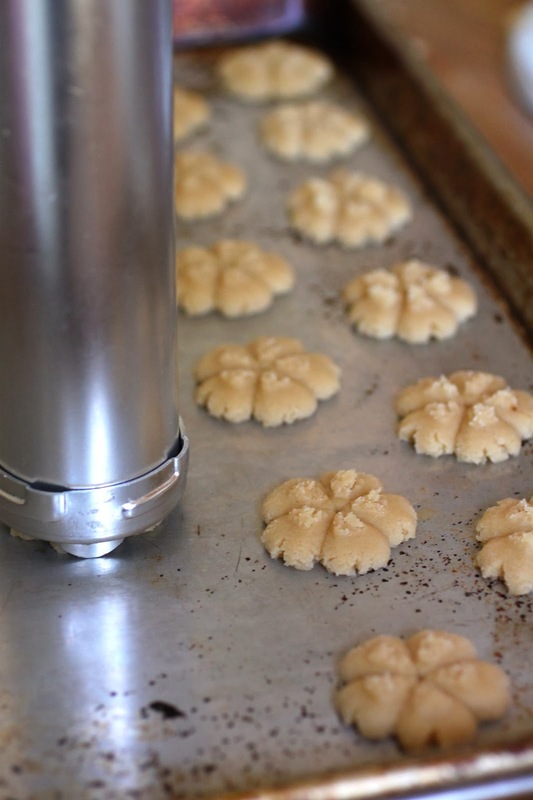 the reason, the cookies will not separate from the gun and you will find yourself getting rather irritated when you have to peel each one off and put it on the pan…yes, that is experience talking. for my batch, i decided to make them coconut flavored. to do this, i used coconut oil in place of the butter and because it seemed a little on the dry side, i also added a few tablespoons of unsweetened coconut milk. if you would like to try mixing up a batch, try this recipe from the joy of cooking, it is the base recipe i started with and then made the substitutions. 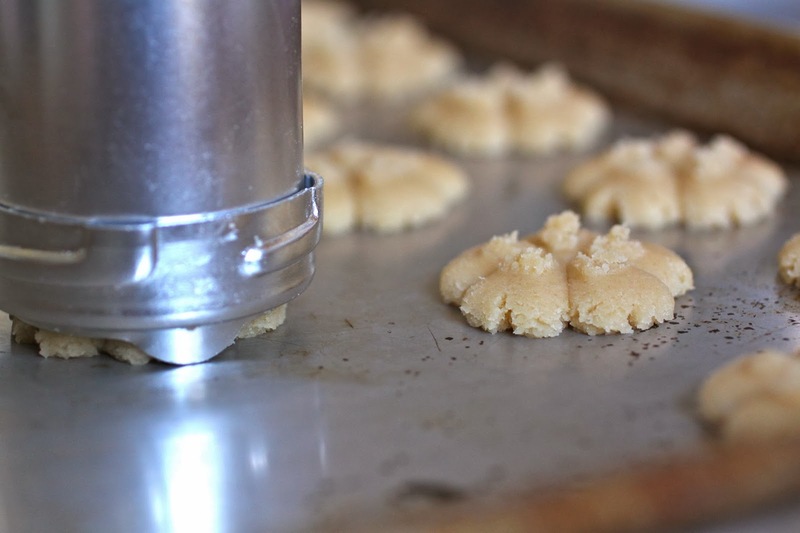 when i switched to pans without paper, it was quick and easy to pump out the cookies. to make it even easier, i used the same pattern for all of the dough. 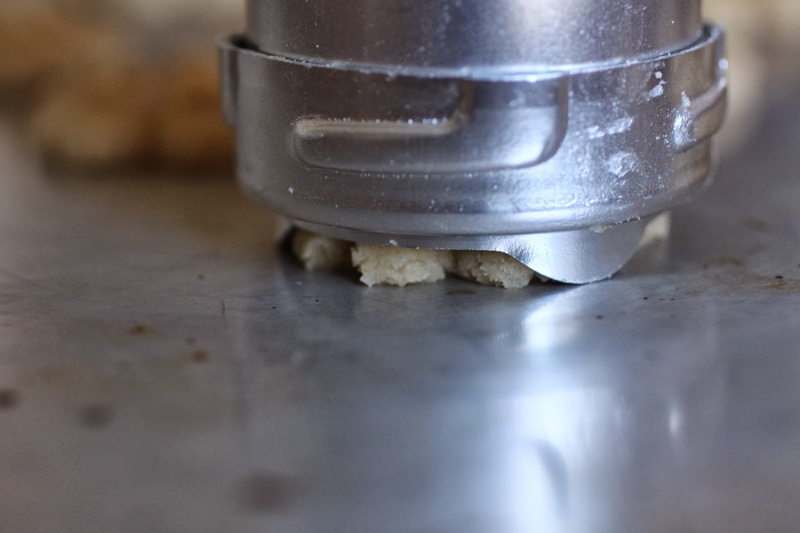 each pump of the trigger releases the exact amount of dough for one cookie. because i also added a little coconut milk to the dough, they spread out a bit. 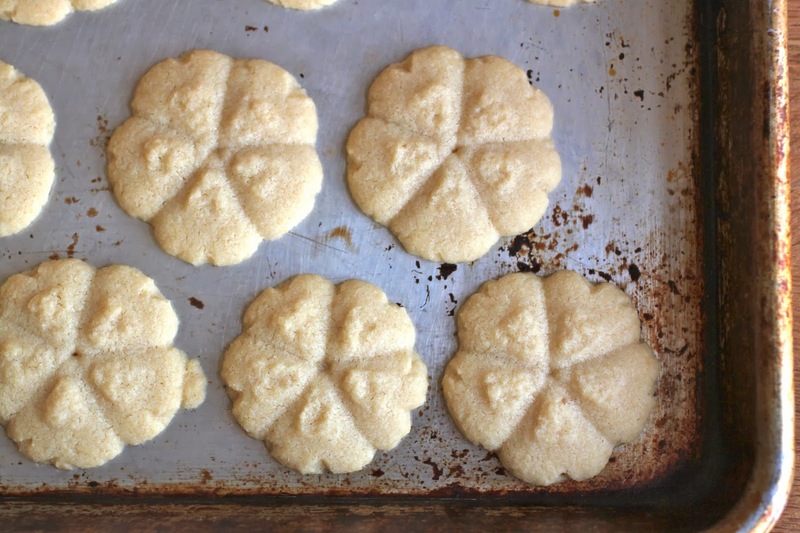 the combination of coconut oil and coconut milk gave nice flavor and brought back childhood memories of danish butter cookies. 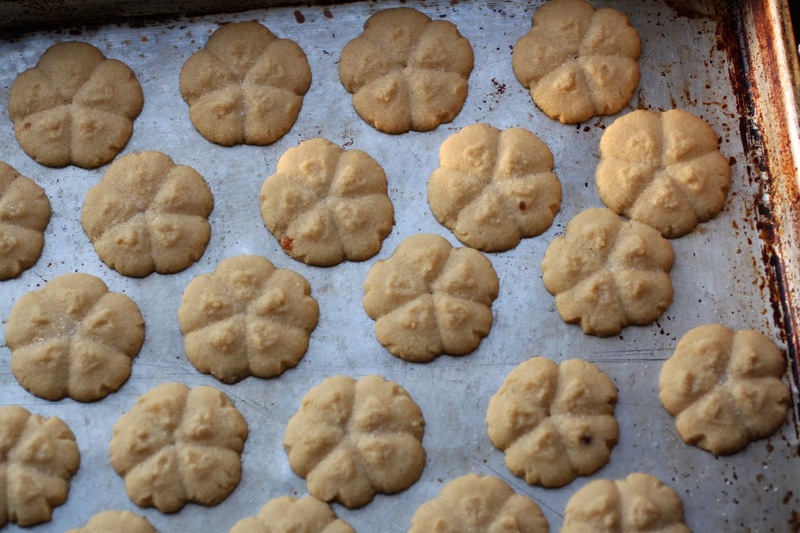 each christmas, my grandfather would bring us a tin of (store bought) danish butter cookies. the different shapes and varieties were stacked separately in the tin using large fluted paper muffin cups. one of my favorites was always the coconut bars. they were rectangular in shape with grooves across the top. these were also some of the last to go-apparently, i was the only one who liked them.